Unlike many houses that are open to the public, Meroogal was never home to someone well-known or wealthy. Its significance lies not in the names of those who lived there, but in the way those lives were lived and in the possessions they left behind. 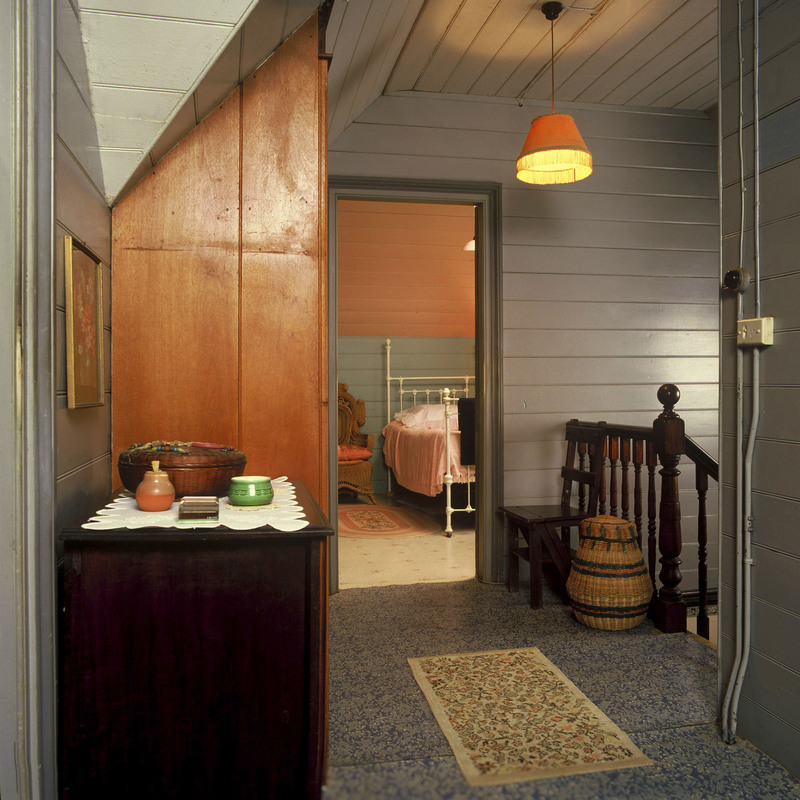 Designed by Kenneth McKenzie for his sister Jessie, Meroogal became home to four generations of resilient and resourceful women, whose house was their livelihood as well as their home. 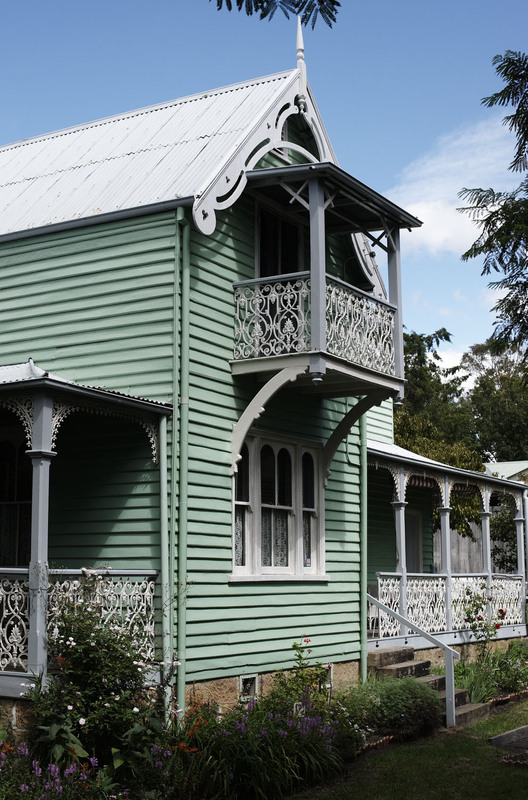 Work on the house began in 1885, the year Nowra was declared a town. Located just outside the six-by-six-block grid of the central town, the allotment allowed ample space for a house, gardens and orchards. In February 1886, the recently widowed Jessie Thorburn moved in to the newly completed house with three of her four unmarried daughters, Belle, Kate and Georgie. The fourth, her youngest, Tot (Kennina), moved in later, in 1893. On her death in 1956, aged 91, Tot left the house to her nieces Helen, Margaret and Elgin Macgregor, who had lived there since the mid 1930s. In 1977 Margaret Macgregor’s daughter June Wallace inherited the house, which she owned and maintained until 1985. Shaded by jacarandas, the two-storey-timber and weatherboard house presents a distinctive and picturesque face to the street. The design, featuring Juliet balconies, dormer windows, decorated bargeboards and first-floor bedrooms within the steep roof space, is thought to have been copied from, or at least inspired by, a pattern book of cottage architecture published by the American architect Andrew Jackson Downing. Twenty years earlier, Kenneth had built a house for another of his sisters, Georgina, in nearby Cambewarra in a similar but perhaps more robust ‘Carpenter Gothic’ style. His design for Meroogal shows his skilful adaptation of sources and talent for composition: it is a house that is functional and harmonious, romantic in its detail yet humble and unostentatious. Apart from an early extension to create a larger dining room by relocating the kitchen, and the retrofitting of electricity and plumbing, Meroogal has changed little since it was built. Through careful housekeeping and maintenance, the Thorburns and Macgregors kept the house much as it was when they first moved in. They were in their own way, whether through thrift or design, its first conservators. Georgie or Kate Thorburn with pet dog, on lid of underground water tank near the back door of Meroogal. Photographerunknown, c1920. Sydney Living Museums. The Thorburn family at Meroogal, 13 January 1891. Standing at the back, form left: Kate Thorburn, Mary Susan Thorburn, Belle Thorburn and Tom Thorburn; seated front, from left: Robert Taylor Thorburn, Bruce Stafford, Georgie Thorburn, Tot Thorburn and their mother Mrs Jessie Catherine Thorburn. Bruce Stafford was the child of Margarat Stafford, nee Thorburn, the sixth Thorburn sister. Caroline Simpson Library & Research Collection, Sydney Living Museums. One of the most fascinating aspects of Meroogal as a museum is its collection of almost 4000 household objects and family treasures, from furniture skilfully crafted by Kenneth McKenzie to Tot’s personal diaries, family scrapbooks, letters and paperwork, and household equipment that illustrates almost 100 years of social and technological change. 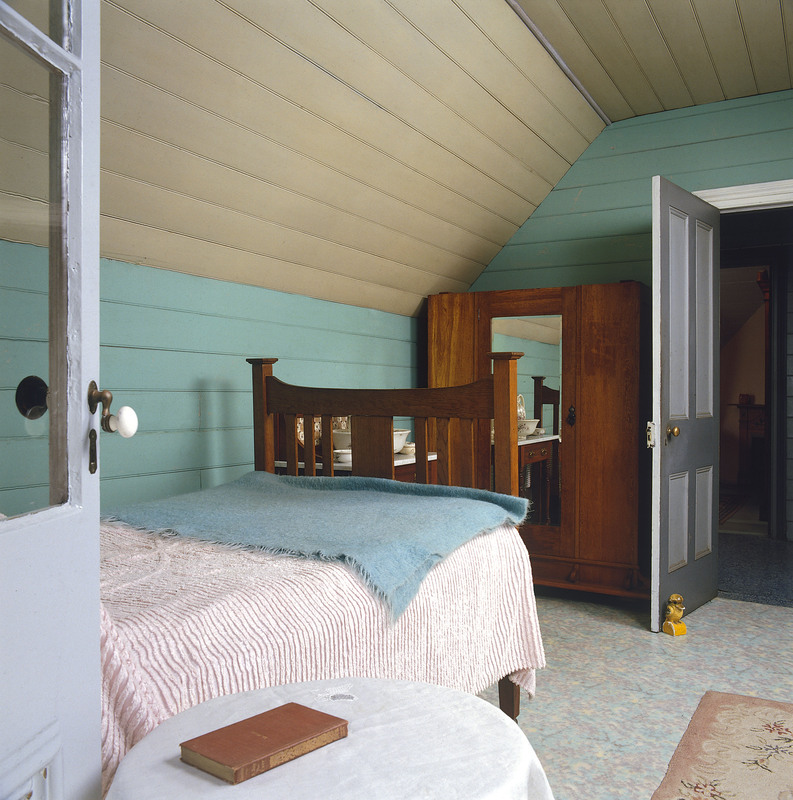 In the house, the slight eccentricities of life are on display: upstairs in one of the bedrooms a wardrobe sits upside down so it fits against the angled ceiling inside the gable roof; if placed the right way up, it would have prevented the bedroom door from opening. It is these small acts of ingenuity and making-do, passed down from one family member to another and now carefully preserved, that make Meroogal the precious place it is. 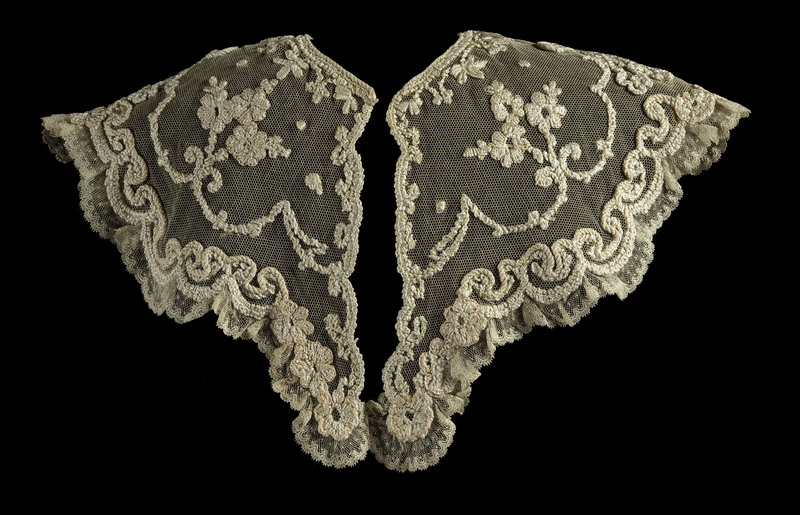 The Meroogal collection also contains numerous examples of lace and other domestic handiwork – the Thorburn sisters were accomplished needlewomen, who made and mended items for thrift as much as for their own enjoyment. They made their own full-skirted dresses and decorative pillow cases worked in Mountmellick embroidery – a style of textured white-on-white embroidery traditional to Ireland. A few of the intricate lace collars in the collection sit atop the bed in the upstairs back bedroom of the house. Handmade in the late 19th century by Kate Thorburn, who loved to make lace but not to sew, the collars are rich with intricate floral detail. Through memories passed down ... or in anecdotes told over and over ... a house became a home. 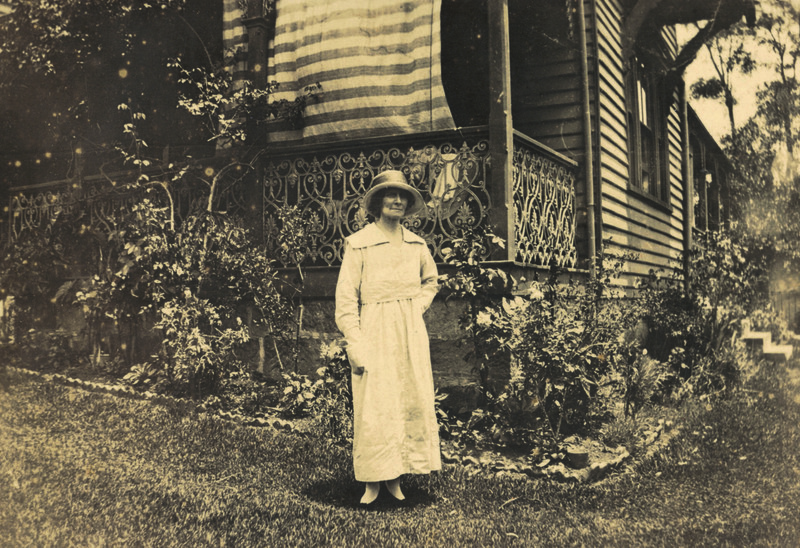 Meroogal is known to many as the ‘women’s history place’, and indeed as a home to four generations of women, it is a rare place to examine and experience the lives and conditions of Australian women in the late 19th through to the mid 20th centuries. Heavy with domestic responsibility yet brightened by countless social visits, family and community events, and involvement in local charities, the patterns of life at Meroogal were both representative of this time but unique to the family. Life at Meroogal owed much to the financial independence of the Thorburn and Macgregor women, with the original purchase of the land and construction of Meroogal financed by Jessie Thorburn’s son Robert, a successful goldminer. 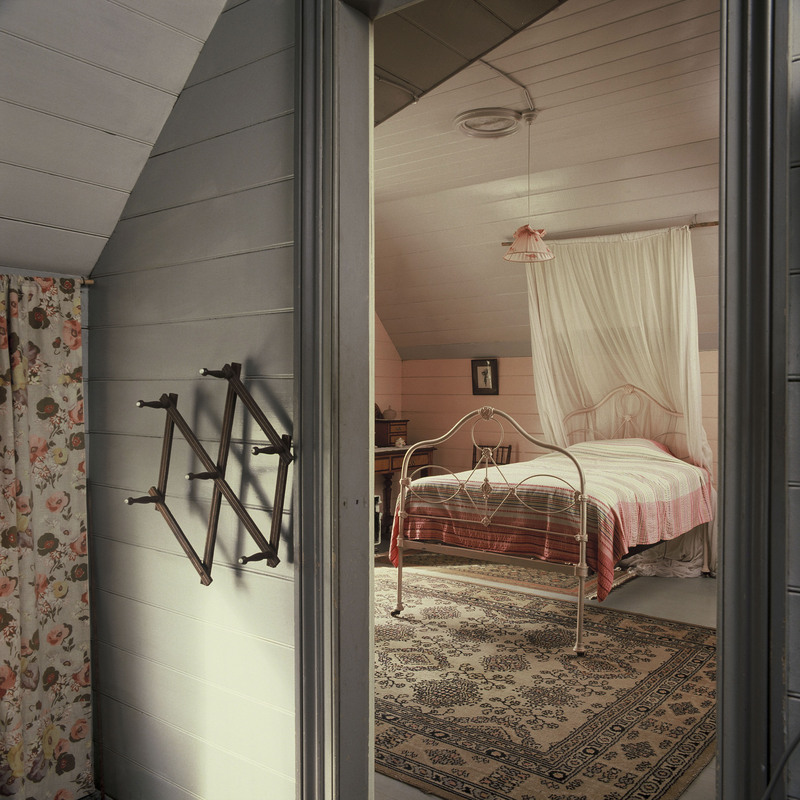 The large home, with its extensive kitchen garden, chicken coops, horse paddock and orchard (the original allotment was over 10 times the present size), enabled a degree of self-sufficiency, and when times were tighter in later years, bedrooms to rent out and land to subdivide. Without this family support, the Thorburn sisters most likely would never have had a house of their own, and would perhaps have had no choice but to marry or seek work not generally considered suitable for women of their class. Looking forward, we are seeking to draw in the threads of the stories of the men of Meroogal such as Kenneth McKenzie and his nephew Robert, recognising their contribution to Meroogal and to the lives of its inhabitants. Meroogal is known to many as the ‘women’s history place’, and indeed as a home to four generations of women, it is a rare place to examine and experience the lives and conditions of Australian women in the late 19th through to the mid 20th centuries. The survival of Meroogal as a house and later its value as a museum owe much to June Wallace, Jessie Thorburn’s great-granddaughter and Meroogal’s final private owner. After inheriting Meroogal in 1977, June cared for and maintained the house and its contents until the early 1980s, when, due to commitments in Sydney, she needed to sell. 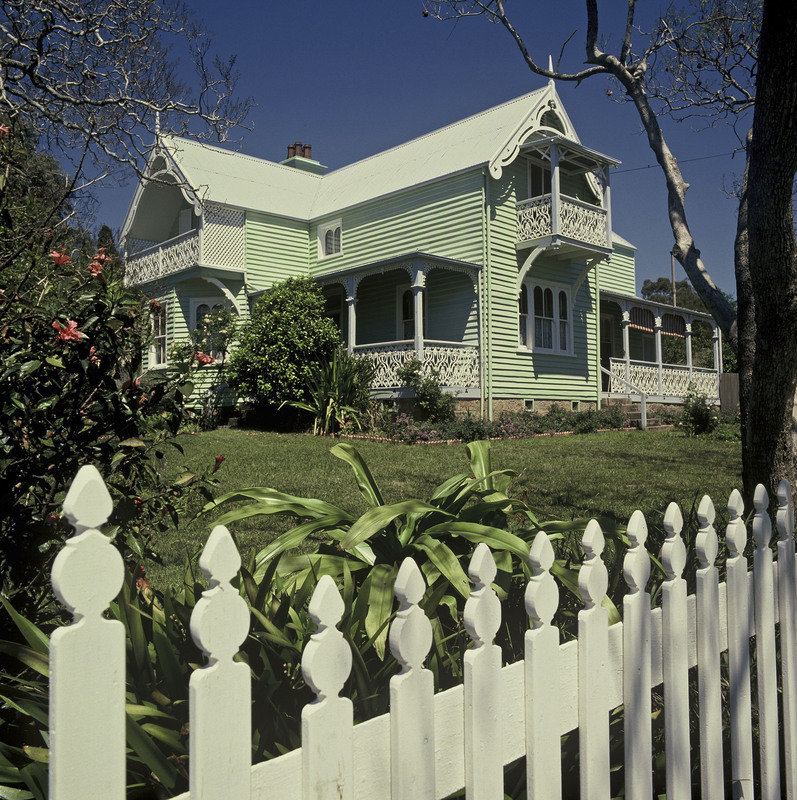 With the significance of the house recognised by a growing number of historians and heritage conservators, Meroogal was acquired by the Historic Houses Trust in 1985. In announcing the purchase, the then premier Neville Wran described Meroogal as ‘the most intact late nineteenth-century house known in New South Wales’. In an act of great generosity, June Wallace donated the entire contents of the house to the Historic Houses Trust. Together with the careful efforts over many years of the Thorburn and Macgregor women, this act ensured the significance and integrity of Meroogal as both a house museum and rich historical record.